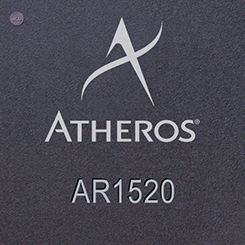 Santa Clara, California–based wireless/wired communications semiconductor manufacturer Atheros Communications, Inc., which acquired u-Nav Microelectronics last December, has announced its second-generation, single-chip GPS receiver, the AR1511, and companion ORION 3.0 software suite. The products are the latest in the company’s Radio-on-Chip for Mobile (ROCm) family of GPS technology and offer designers a hardware and software GPS combination that can provide autonomous and host-based solutions targeting mobile phones, personal navigation devices (PNDs), and personal media players (PMPs). The AR1511/ORION 3.0 combination features a patent-pending parallel search methodology that employs eight search engines teamed with 12 tracking engines to accelerate time to first fix, lower power consumption, and improve positioning accuracy. The search engine is used for code phase and frequency/doppler acquisition and reacquisition of GPS signals. The engine features eight independent, programmable channels and four programmable frequency bins, enabling selectable coverage and resolution, according to Greg Winner, general manager of Atheros’ GPS business unit. The tracking correlators are used for continuous tracking/measurement of code phase and Doppler and comprise 12 channels with programmable correlator “finger” locations and spacing. Optional assisted–GPS capabilities can use telecom networks to provide aiding information based on industry-standard 3rd Generation Partnership Project (3GPP) specifications and the Secure User Plane for Location (SUPL) requirements, which facilitate communications between GNSS location servers and GSM handsets. According to Atheros, the receiver can acquire signals at -154 dBm with network aiding or -144 dBm in autonomous cold-start mode. Once acquired, the AR1511 reported tracks signals with received power levels as low as -160 dBm. The AR1511 and ORION 3.0 also support extended ephemeris, stored satellite orbital data, for any location-aware device. This feature leverages RX Networks GPStream technology to accelerate TTFF and reacquisition times with high location accuracy. Extended ephemeris can be downloaded using wired or wireless connections from Internet- or cellular-based servers. 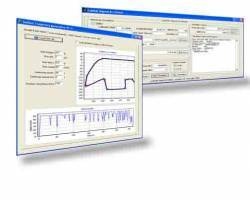 The GPStream technology delivers ephemeris in highly compact 2KB files, reducing the system memory requirement and demand on service provider networks. Atheros’ latest GPS offerings provide multiple design options for either autonomous or host-dependent applications. The AR1511, available in a 5 x 5–millimeter CSP (chip scale package) for standalone and hosted configurations, or a 10 x 10–millimeter ball gate array (BGA) package for standalone and hosted configurations on low-cost printed circuit boards. The AR1511F is a 7x 7–millimeter BGA package with integrated digital signal processor (DSP) and stacked flash die for small form factor standalone configurations. It delivers GPS functionality without taxing the host processor and memory and eliminates the need for dedicated Flash or fixed ROM, according to the company. With a dedicated processor built onto the chip, the AR1511 distinguishes itself from receivers that use a hosted or off-chip DSP approach. System developer kit support, selectable profiles, and software updates are available with the AR1511. Macronix has partnered with Atheros to provide the 1.8V, 8Mb MX29SL802CBXHI-90G flash option for standalone applications. Atheros new GPS solutions also support satellite-based augmentation systems (SBAS) including WAAS (North America), MSAS (Japan), and EGNOS (Europe). The AR1511 CSP package is pin-compatible to the uNav uN3010 CSP package and reportedly provides a migration path from any existing design based on Atheros first-generation, single-chip GPS solution. The AR1511/ORION 3.0 will sample to customers in the second quarter of 2008.